After completely changing the look of the iconic on-screen iOS keyboard it seems like Apple is now focusing on improving the typing experience of the users. In iOS 8 the company had finally added the ‘Predictive keyboard’ feature, which as its name implies displays suggestions to users as they type. The keyboard displays three of the most suitable suggestions on top of the keyboard and if any of the three matches what you were going to type then all you have to do is tap on it. Upon tapping the suggestion will be added to wherever you are typing. The predictive keyboard feature of iOS 11 is pretty responsive and actually makes the process of typing faster and more convenient. If you have the beta installed on your device then you would have noticed that it is not activated by default. In order to use this new feature you have to activate it from settings. 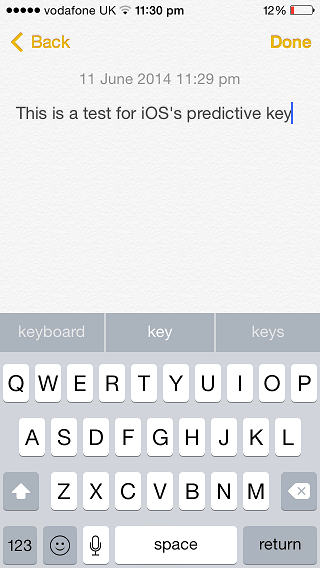 In this post we are going to show you how you can turn on the predictive keyboard on your iPhone, iPad or iPod touch. On General menu scroll down until you see the ‘Keyboard’ option, once you do tap on it. From Keyboards look for the ‘Predictive’ toggle and turn it on. This will activate the predictive or suggestive keyboard on your iOS device. Alternatively you can turn this toggle off if you want to turn off the predictive keyboard feature.